On the 11th of March 1973 Mrs Alice Bright described her memories of the High Street and the characters that lived and worked there. 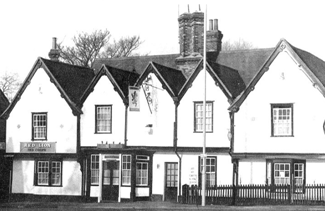 She had lived in the village of Stanstead Abbotts since her marriage in the mid 1920’s. Alice mentions Jack who was her husband and Jean her daughter. By the time Mrs Bright was interviewed she was 77 years of age and was trying to remember the way the village was nearly 50 years previously. Her thoughts are presented as she remembered the way things were. 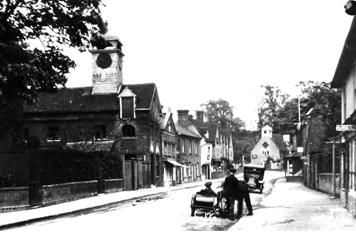 The Stables building appears in this 1920’s view on the left. 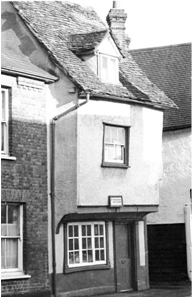 Mr Chesham a village carpenter lived in the upper part of the building. 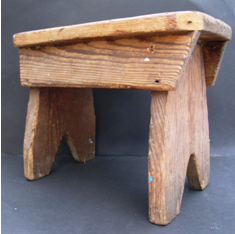 Small stool made by Mr Chesham in 1930 for Mrs Bright’s daughter.